Wow.! What a week.! I have been so busy the whole week that I have been fantasizing about a massage daily.!! But it’s been a good busy with interviews, writing requests and seeing friends 🙂 I would rather be busy and have life moving along well, then be stuck in the doldrums with nothing to do. To me, action always represents forward momentum and I like forward momentum because it means exciting things are happening.!! Speaking of exciting things, this weekend is Labor Day weekend in the States officialy marking the end of summer festivities. Therefore, most Americans are getting ready for long weekends away, barbecues and visiting family and friends. Croatians in Chicago, and in most of the Midwest plus some parts of Canada, are celebrating 50 years of Croatian soccer tournaments right here in Chicago.! I have relatives coming into town to watch the games, so it should be exciting.! 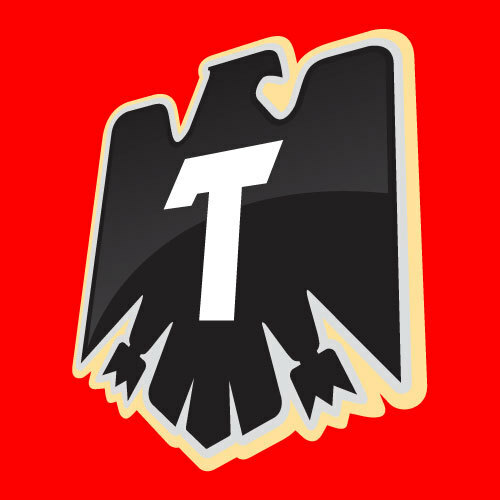 I am also envisaging other types of games being played among the men I know similar to our Tecate commercial for the week. I have dubbed the commercial Tecate Cuenta or Tecate Bill because whoever is willing to share with their friends and pay the bar tab is king.!! jajaja… To all those who can whip out their credit card faster than their friends – we honor you.!! Enjoy your weekend… Y Salud..!! are you my media naranja..? All of us are looking for love, our soulmate, or our other half. Sometimes we get lucky and we find them when we are young because they live next door or go to our high school. Sometimes we find them a little later in life, either at college or work. Some of us get really lucky and find them more than once…tee-hee. Some of us, however, have to traverse oceans or change countries to find our soulmates. My parents did not find each other until they both emigrated to Chicago. They had both left their homeland and found love in a new country. One of my former classmates married a girl from Costa Rica. While, one of my British friends is married to a lovely Mexican woman and they live in the United States. When I lived in Playa del Carmen, there were many individuals I came across who had found and married their soulmate in another country. Germans, Dutch, Mexicans, Cubans, Argentinians, and the Irish had all made bold leaps across water, geography, and time to be with their other half. 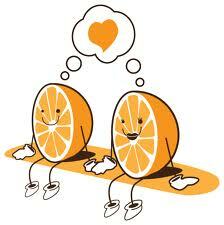 In Mexico, lovers refer to their other half as their media naranja. Media naranja literally translates to half of an orange. I remember the first time I heard this expression, I laughed. I exclaimed, “Why an orange?” Most of the answers I received varied from the literal translation of half an orange to your better half, your other half, or your perfect complimentary match. Therefore, I came to understand the half part of the saying that being with this person makes you complete. Yet, I still did not understand why an orange? Eventually, my best friend C. explained it to me. An orange is sweet and you want a love that is sweet and soft and beautiful and fragrant. You do no want a lemon because while it is soft and fragrant, it is tart. The tartness will make you bitter. 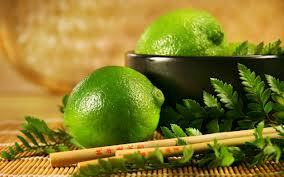 Limes are also tart and sour; therefore, you do not want a lime. Also, you do not want to choose an onion. Even though an onion is fragrant, it is hard and it can make you cry. 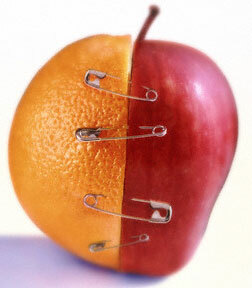 Apples too do not work because they are hard and crunchy. Now, it all made sense to me. 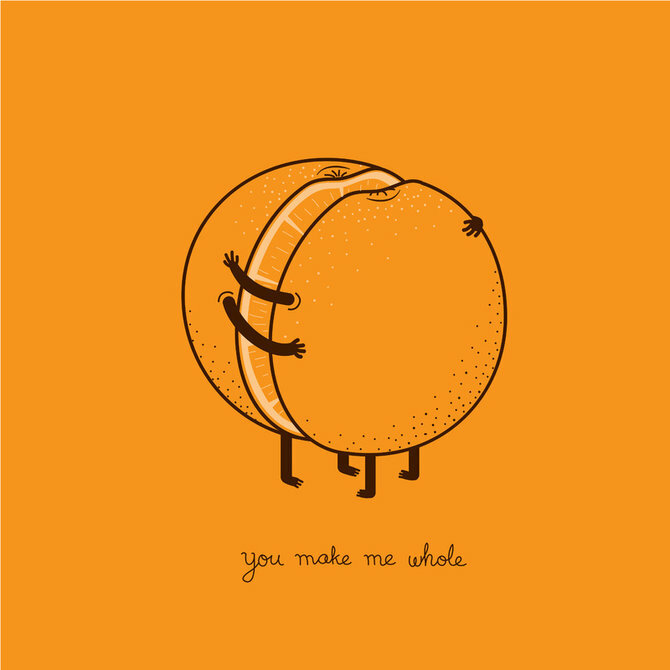 An orange as your other half is a perfect metaphor for love. Media naranja actually reminds me of the story in Greek mythology where Zeus split the humans in two as punishment. The halved humans were doomed to walk the earth miserable until they found their soulmate or their other half. Then they would know pure joy and union. I have to admit this sounds lovely and intriguing all at the same time. Unfortunately, while I have known love, I am still looking for my other half. Many times, I believed I had found my soulmate. However, they usually ended up being just an apple.! 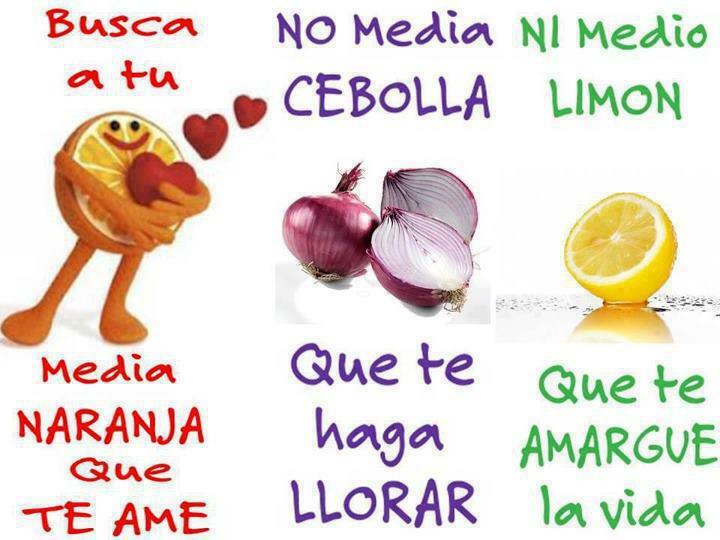 jajaja… Wishing all my readers joy and luck in finding their media naranja..!! During my early days in Mexico, I spent my time feverishly hunting down lemons. Don’t get me wrong, I love limes..!! 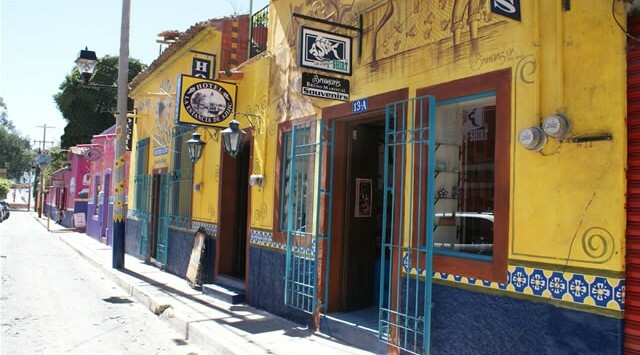 They are great in key lime pie, on my tacos and in cervezas..!! But every once in a while, I would want a lemon. Sometimes, I wanted to make Greek lemon potatoes or lemon chicken or even lemonade. So I would meander down to Wal-Mart, or the Mega grocery store or even the fruit and vegetable market, DAC. I would wander around the store aimlessly and without success seeking lemons. Finally, I would locate a store employee for assitance. Me – Perdone, ¿dónde están los limones? Where are the lemons? SE – Son cerca de las naranjas. They are near the oranges. Me – Ok, gracias. Ok, thank you. Me – Umm..perdone. Esas son las limas. Umm..excuse me. Those are limes. SE – No señora, esos son los limones. No ma’am, those are lemons. At which point, I would smile and mutter gracias and walk away. I cannot even begin to enumerate for you the countless times this exchange occurred until I finally just gave up. Uncle, I yelled..!! There were no lemons in Mexico.! And if there were any lemons, there was a monumental conspiracy to keep them away from me.! Interestingly enough, all the research that I have done on the matter has in no way enlightened me. I am just as confused, but more accepting. The first thoery posits that there are very few lemons in Mexico. The lemons that are produced are either exported or used primarily for lemon peel oil. Some theorists suggest environmental conditions may play a role in the limited supply of lemons. 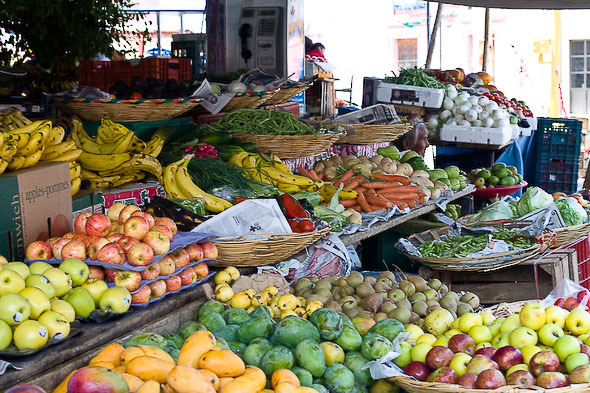 Also, lemons are very rarely grown as fresh fruit in the Latin American market. The motive for this lack of production may be the lime’s status as a major commodity in Latin America, and Mexico specifically. The lime is usually used for similar purposes as the lemon. The second theory proposes that besides the botanical issue, there is a linguistic quirk regarding the etymology of the word lemon. Apparently, limón is chiefly used to refer to limes in Mexican Spanish. 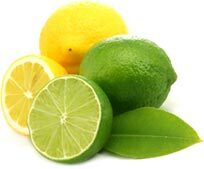 However, in the Yucatan, the regular Spanish word for lemon which is lima is also used to describe limes.!! Ok, now I’m really confused..?! Can you see why I gave up? 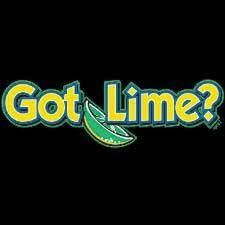 So, all along in the grocery store whether I was asking for limónes or limas, I was really asking for limes.! Wow.! So then, how do you ask for a lemon in Mexico.? According to Rick Bayless, author of several prominent Mexican cookbooks and restaurateur extraordinaire, they are called limónes reales or real lemons.!! At this point, I’m laughing. And on the floor. jajajaja… Who knew.?! Mr. Bayless also points out that he has only seen these real lemons sold in the northwest of Mexico, which of course is nowhere near Quintana Roo. access to lemons opened up my world and expanded my cooking abilities. In fact, I also learned how to chuckle in the produce section every time I heard a new gringo/a ask the same question with frustration. I had been liberated from my lemon quest.! Welcome to Friday..!! Bienvenido a viernes..!! I don’t know about everybody else, but I’m glad it’s here. I had a chance to catch up with a lot of friends this week, celebrate a dear friend’s birthday, have lunch with my dad and of course, write..!! Did I mention errands?! Ugh.! My weekend plans are pretty quiet again this week and I am actually very grateful to be able to relax and think. But I will try to not think too much and relax more. Life is too tenuous and brief to be always worrying. 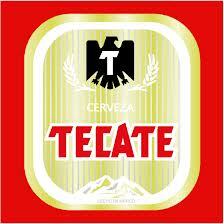 In fact, I think I should take a page out of this week’s Tecate commerical and learn to have more fun.! 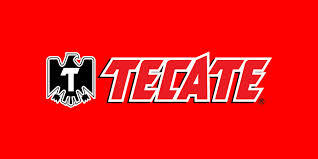 This week’s commercial is Tecate Boda or Tecate wedding and it celebrates how men tend to not complicate life. May you all have an easy and uncomplicated weekend 🙂 Enjoy.! y Salud..!! you want authentic.? you can’t handle authentic.!! When I was living in Playa del Carmen, I very rarely ventured across the sea to the island of Cozumel. I figured everything I needed was in Playa – beautiful beaches, the reef, great food and nightlife. In fact, the few times I had been to Cozumel it was ony for a few hours. Sometimes, I felt it was too touristy when all the cruise ships were in town. Other times, I felt it was more like a bedrooom community, and therefore, too quiet for my tastes. But then a few of my friends moved from Playa del Carmen to Cozumel. Early on, they would come back to Playa and visit which was fantastic.! However, after awhile, I got the feeling, they needed a little more reciprocity from me for the friendships too continue. So one day, I hopped on a ferry to Cozumel for the day. To cross the Caribbean, it costs about 155 pesos one way or $13 USD; so, a total of $26 for the round trip. I met my friends at Starbucks, of course 🙂 We exchanged all the amazing stories that had happened to us since our last visit and laughed.! A lot.! Eventually, we got hungry. Since I was catching the last ferry back at 9pm, we had plenty of time to eat. My friend S. promised me that they were going to take me to the best restaurant in Cozumel. I have to admit, I was initially doubtful. We walked a few blocks and ended up on Rosado Salas #198 entre 5 y 10 Cozumel. We were at ‘the little house of Indio’ or La Casita de Indio 333. Once I saw the restaurant, I was extremely doubtful.!! hahaha….But I was about to be pleasantly surprised.! 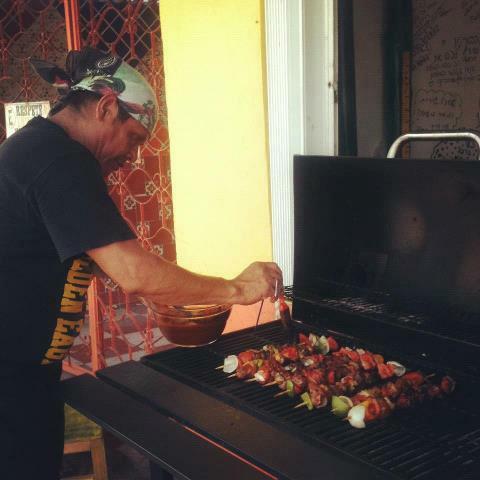 Indio is the proprietor, chef, host and all around welcome committee for La Casita de Indio.! He is at his family owned restaurant all day long unless he is running errands for the restaurant. Sometimes you can also find his wife and kids at the restaurant. Indio is gregarious, super friendly and a great storyteller.! He treats all of his customers like friends and family who are simply stopping by his house for dinner. The atmosphere is casual and fun, while the service is fantastic.! That first night, my friends introduced me to Indio and he warmly greeted me.! He brought over a menu, but also let me know that he could make anything for me that I desired. All I could think of in that moment was how much my father would appreciate Indio’s restaurant. My father hates menus and almost never orders off of them. 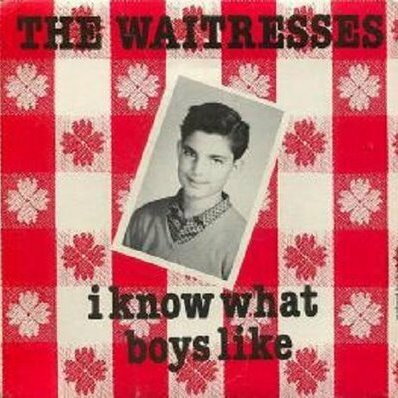 He just tells the waitstaff what he wants and lets them figure out what to call it and how to charge him. Indio’s place would be perfect for my dad.! My friend S. recommended that I ask Indio to make me a seafood plate and so I did. When it arrived, I stopped talking. It was delicious.! 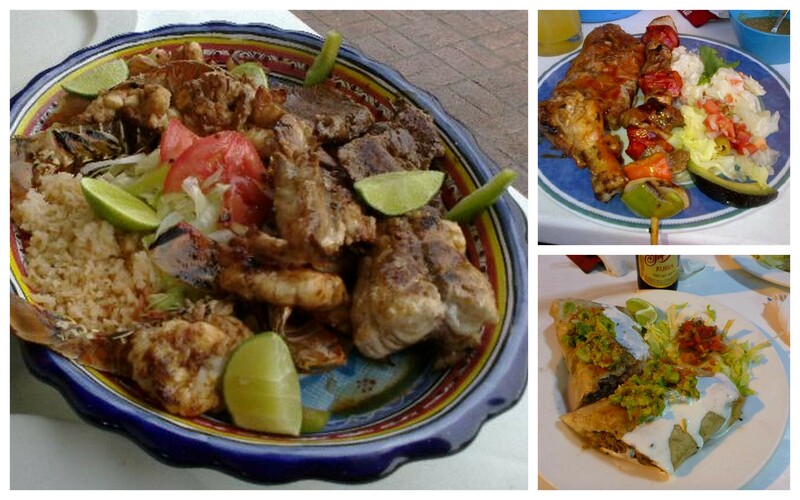 A warm plate of fresh grilled shrimp, scallops and octupus arrived accompanied by rice, beans and tortillas.! Of course, there were also salsas. I moaned while I was eating because the food was so tasty and fresh.! My friends were happy that I was enjoying the meal and that the restaurant had lived up to their praise. 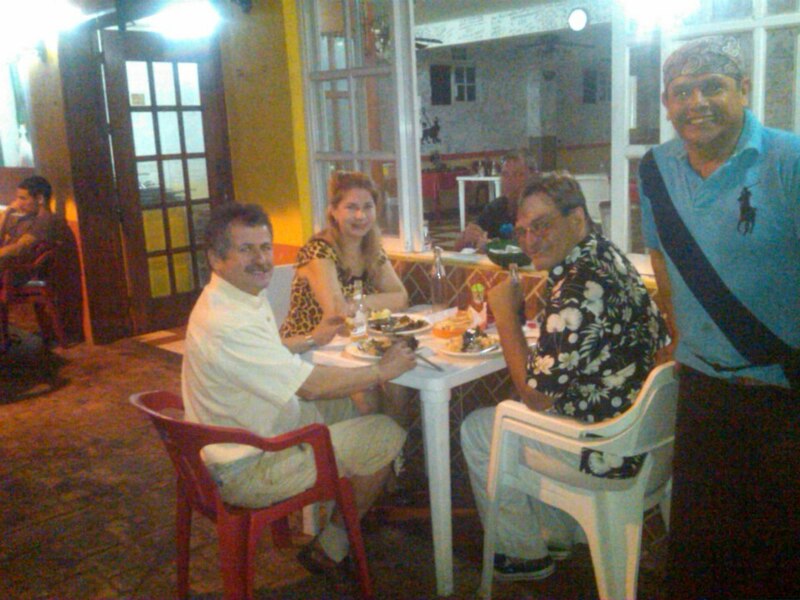 Indio will also cook any fresh fish or lobster that you bring him to your liking and specifications. However, you can also order straight from the menu. My personal favorites include tacos, ceviche, tamales and amazing breakfast burritos. La Casita de Indio is economical, authentic and delicous.! 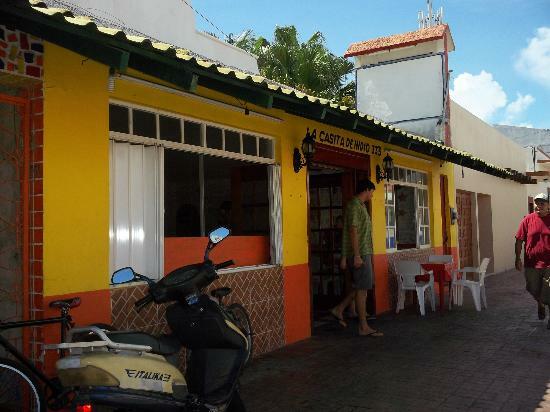 It is also a popular hangout for both locals and expats. So if you are interested in trying less touristy places and being a part of the local flavor, then Indio’s restaurant is it.! 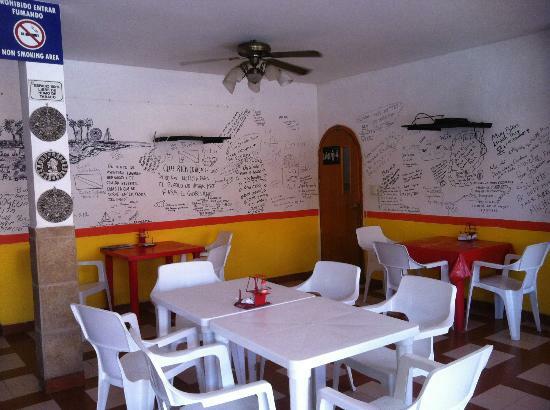 The night before I left Mexico, I stopped at Indio’s restaurant with my friends for dinner and to say goodbye. Before I left, Indio reminded me to sign the wall in his restaurant and so I did 🙂 I was a little sad to leave, but I knew I would be returning one day to sample more of his home cooked cuisine.! When I was younger, I never liked it when boys or men called me cute names at work or in public. Endearments such as honey, sweetie and dear made me feel like a helpless female. So, you can imagine my surprise when I moved to Mexico and I actually began to enjoy the numerous sweet nothings uttered by the male species in my direction. At first, I was shocked and I’m sure it showed on my face. However, after some time, I recognized and accepted the lovely words as a way to show appreciation to women.!! I could go on…really the list is impressive.! But more importantly, it is used on women of all ages.! And it’s done respectfully, not in a construction site sorta way.! Of course, men who know you well, will also gave you cutesy nicknames. Some of my personal nicknames include Rosita bonita, Rosita fresita and Rosa hermosa. Amazingly enough, I actually miss hearing all those complimentary names.! I miss being appreciated by men just for being a woman.! Plenty of men here in the States appreciate me for my intelligence, my work ethic, my generosity, among other attributes. But, very few appreciate my womanliness.! I never realized how much I had grown accustomed to being treasured and cherished in that manner until recently. My friend and I, and another woman, were entering a Starbucks cafe the other day when a twenty something man was leaving. 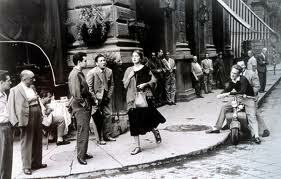 There we were, the three women, like sardines in the foyer all waiting for the young man to open the door for us to pass him by. But that’s not what he did.! He opened the door and then squeezed past the three of us on his way out. I think the look of unsuppressed disbelief was completely evident on my face. I made my way to the register, still stunned. And then, adding a pinch more slight to this unchivalrous deed, the nice barista asked me, “What can I get for you today, ma’am?” Seriously, ma’am? Ugh…give me hermosa, guapa, bebe, or mamacita anyday.!! Happy Friday..!! Feliz viernes..!! I hope everyone had a great week and is ready to enjoy their weekend 🙂 I’m not sure if I’m ready to relax. I had a wonderful week, but as usual not enough time to accomplish all my goals and dreams. Somehow my to-do list seems to get bigger even though I keep checking things off..!! Oh well, there is always next week. However, sometimes I wish I could just clone myself.! Then I could send my duplicates to run my errands while I focus on other more important things. Of course, no one at the post office or grocery store would be able to tell the difference. But I wonder if my family and friends would be able to detect me from my doppelgangers.?! Our Tecate man in this week’s commercial, Tecate Máscara or Tecate Mask just wants to be able to spend more time with his friends.! But why can’t his novia tell the difference..?! jajajaja….Enjoy..!! y Salud..! !